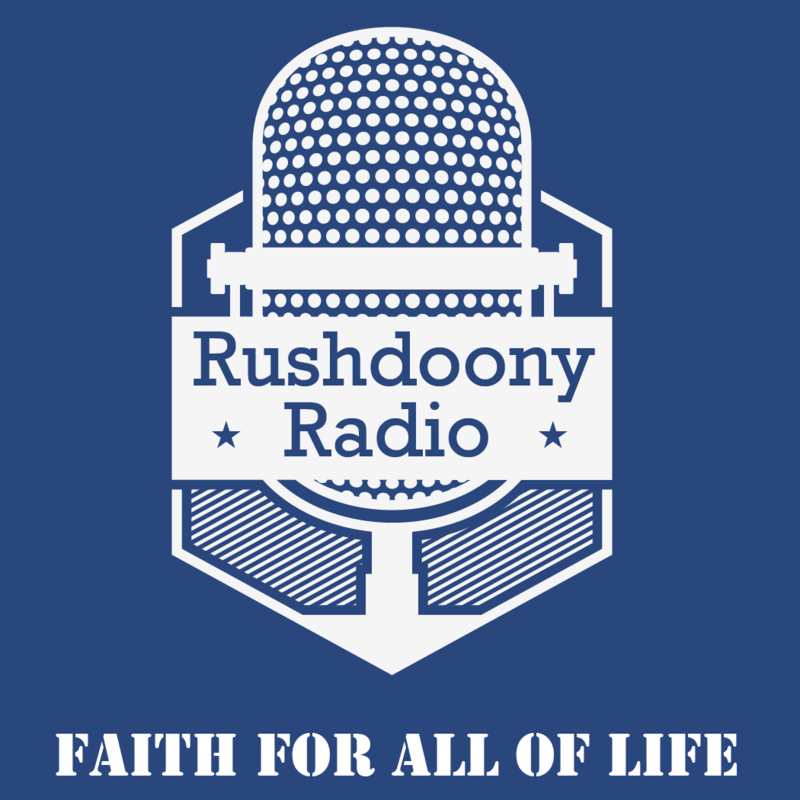 R.J. Rushdoony: 00:00 What does legitimate mean? This is R.J. Rushdoony with a report on our threatened freedom. When we talk about stage plays in New York, London, or elsewhere, we speak of the legitimate theater. What does this term mean? Why should a stage play be called legitimate? R.J. Rushdoony: 00:19 This usage goes back to Shakespeare’s day. Plays previously had been church oriented, miracle and morality plays. In the Elizabethan era, the theater began to flourish at a remarkable rate. The royal government immediately stepped in to license and control the stage. Three theaters were licensed in London: Drury Lane, Covent Garden, and in the summers only, The Haymarket. Any other performance was illegitimate. R.J. Rushdoony: 00:51 This law continued until 1843. Thus, the licensed and controlled theaters were called legitimate theater. The term we still use without realizing its meaning. The legitimate theater was a controlled theater. We fail to realize how much propaganda there is in Shakespeare. His historical plays were written to glamorize the Tudor Dynasty and to make legitimate by a falsification the illegitimate seizure of power by Henry VII. Thus, for the crown, a legitimate theater served an illegitimate purpose. R.J. Rushdoony: 01:33 As time passed, the theater became more and more trifling as writers sought to avoid problems with the court and the comedy of manners which concentrated on witty fluff became paramount on the English stage, together with the operatic heroic plays. R.J. Rushdoony: 01:52 Why is all of this important to us? The point is that the English state was defining what was legitimate in the theater. If Shakespeare had produced his plays on a bootlegged basis, would his work have been any the less legitimate? Now the question is important for us because with federal grants and subsidies, we are quietly moving back towards a legitimate theater, legitimate arts and sciences, and legitimate entertainment on television. It took more than two and a half centuries for England to escape from a legitimate theater to a somewhat free theater. R.J. Rushdoony: 02:33 Now we are moving into licensed theater, entertainment, arts, and sciences, and education. Supposedly the state controlled and state licensed schools are the legitimate and good ones. But facts make clear that the unlicensed and supposedly illegitimate Christian schools are better. R.J. Rushdoony: 02:55 In one area after another, a battle was waged in recent centuries against the idea that church or state had the right or ability to declare something legitimate or illegitimate and to exercise controls over it. The results of that battle were major advances in freedom. We are now acting as though that struggle was a mistake and as though a higher stage of progress requires such a surrender of freedom and choice. R.J. Rushdoony: 03:26 If we give the state the power to decide what is illegitimate or legitimate, that power of state will eventually place freedom and us on the list of things illegitimate.